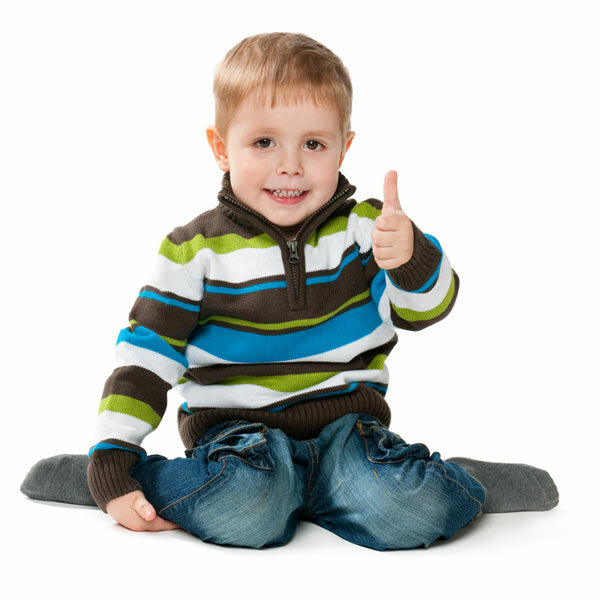 Are any of you going to the Allergy and Free From Show in November? It’s in the Liverpool Exhibition Centre on 7/8th November – don’t forget you can get free tickets. The November show is being sponsored by Schar, as part of their big UK launch this autumn. I was delighted to find out about their expansion into the UK because their products can reliably be found in supermarkets when we go on holiday. It’s been frustrating that we can find products abroad that we can’t find here! 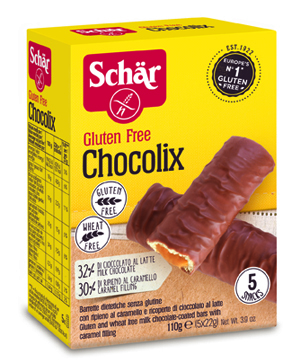 Schar, of course, has the DS gluten free range here in the UK, but these will be rebranded, and the completely new products look interesting. And in fact, I did spot some of the new products and the new branding in Sainsbury’s yesterday. Coeliac daughter has enjoyed the Bonta d’Italia Salami pizza in the past, when we can find it, and I gather that Asda will be selling twin-packs of their (now lactose-free) Margherita pizza in the frozen aisles – I hope those roll out into other stores soon, as we don’t have an Asda near us. I’m not sure that the new vegetarian dish Caserecce Con Pesto will be something we’ll buy: after all, pasta with pesto is practically a staple here so we don’t need it as a ready-meal. Cooking a pan of pasta and adding pesto is just about as easy as a ready-meal. But the other one, Cannelloni with Spinach, may well be a handy standby as this isn’t something I’d typically make myself. Chocolix: my first thought when biting into these was ‘Twix!’. Coeliac Daughter, of course, doesn’t know what a Twix tastes like, but I can tell you that this is a pretty good version of a Twix. There’s a bit less caramel, and a bit more biscuit, but it definitely tastes Twix-y. We’ll be able to get these at Sainsbury’s, though they’re also available at Asda. 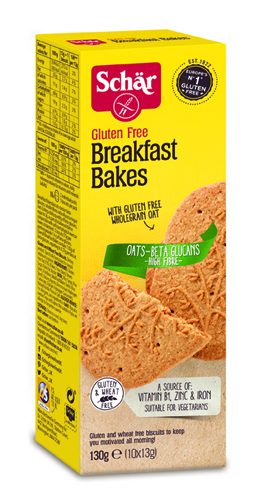 Breakfast Bakes, made with gluten free oats – and though we’re not a breakfast bar household, I was impressed with these, and would happily add these to our regular shop. In fact, I’ve just eaten one, and am very tempted to eat a second… though I have already had one breakfast this morning. Sadly, these too are apparently only available at Asda. And ‘Mini O’s’ – lookalike Oreo cookies. Coeliac Daughter asked me to mention these specifically, as she really liked these, and finished the packet very quickly. You’ll be able to get these at Tesco or Morrisons. According to the website, though, there are still products available in other countries that we can’t get. Please, Schar, bring Millefoglie (frozen puff pastry) and Tiramisu to the UK soon! 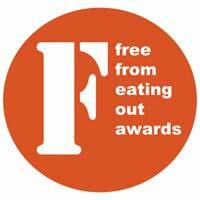 Both have been given 5 star reviews online by those people lucky enough to be able to try them.